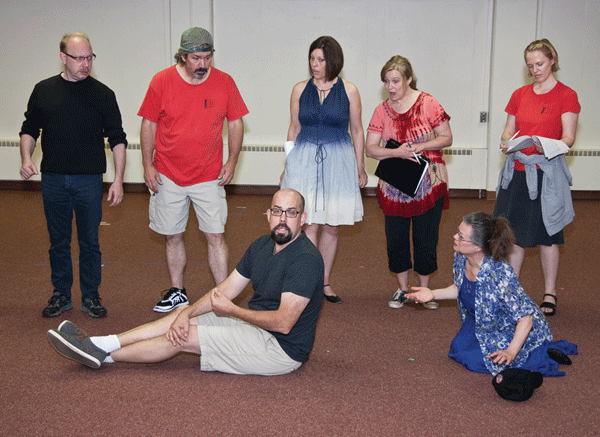 I spent this last Saturday morning watching the rehearsal for Lyric Opera of the North’s newest production of Les Uncomfortables and taking photographs for this piece and spent a little more time than I had planned. This is the third version of this very popular opera and the short sample I witnessed I can honestly say does not disappoint. I make this disclaimer here and now that the composer of this crazy romp into Duluth’s early history is my youngest brother Tyler Kaiser, so I am a bit biased. With that out of the way, this is a must see for all those who call themselves True Duluthians and even those of us who have worked in advertising as long as I have hate to use the this term - this production is truly “New & Improved”. There are new faces that have joined the cast, but the core of the group has returned to reprise their original roles. 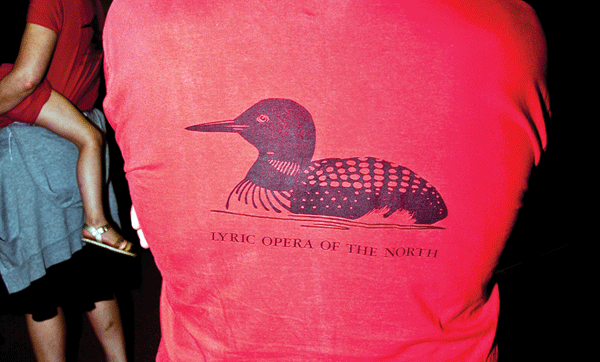 The idea of the opera was originally a collaboration by Jean Sramek & Margi Preus of Colder By The Lake fame and the musical wizardry of Tyler Kaiser. 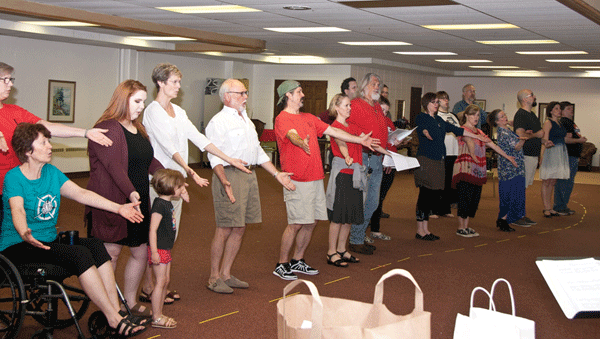 This production broke new ground in the regional opera scene and is sung in English. It is based on the true adventures of Daniel Greysolon Sieur duLhut, the explorer for whom the city of Duluth is named. The story includes love and loss, portaging and paddling, and mosquitoes and mistaken identity. I watched as stage director Julie Ahasay worked with the cast and the creative energy she generated was intoxicating. As the cast worked over their lines and blocking there was a sense of fun, mischief and comradre. I believe this production will be a sell-out as their other productions have been. 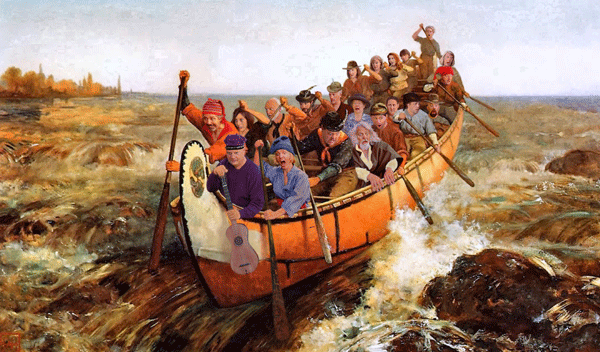 If you haven’t been to a LOON opera yet - you owe it to yourself to spend an evening of mirth and mayhem with this group. I have to note that Duluth is incredibly blessed with an incredible mix of local artistic talent. 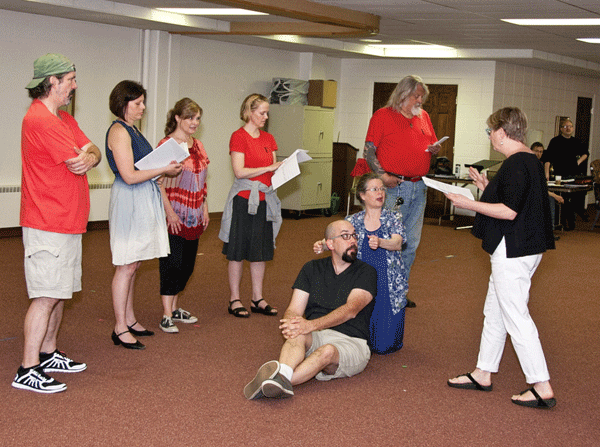 This production is a shining example of what this northland is offering up this summer. Don’t miss this opportunity to get out and support your local arts.